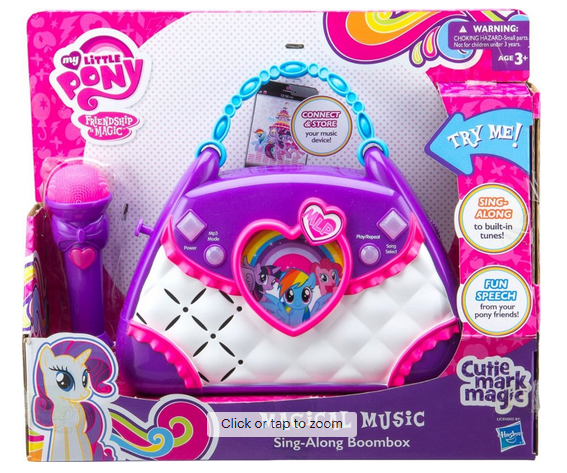 Best Buy has the My Little Pony Magical Music Sing-Along Boombox Karaoke System on sale for just $9.99 (regularly $19.99). Plus, shipping is free. Get your child excited about music with this My Little Pony boombox. 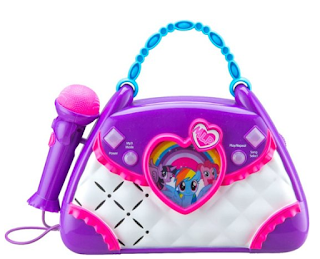 Prerecorded songs and sound effects from the animated show are included, or you can connect an external device to let kids harmonize with their favorite tunes. This My Little Pony boombox has a kid-size handle for convenient carrying.